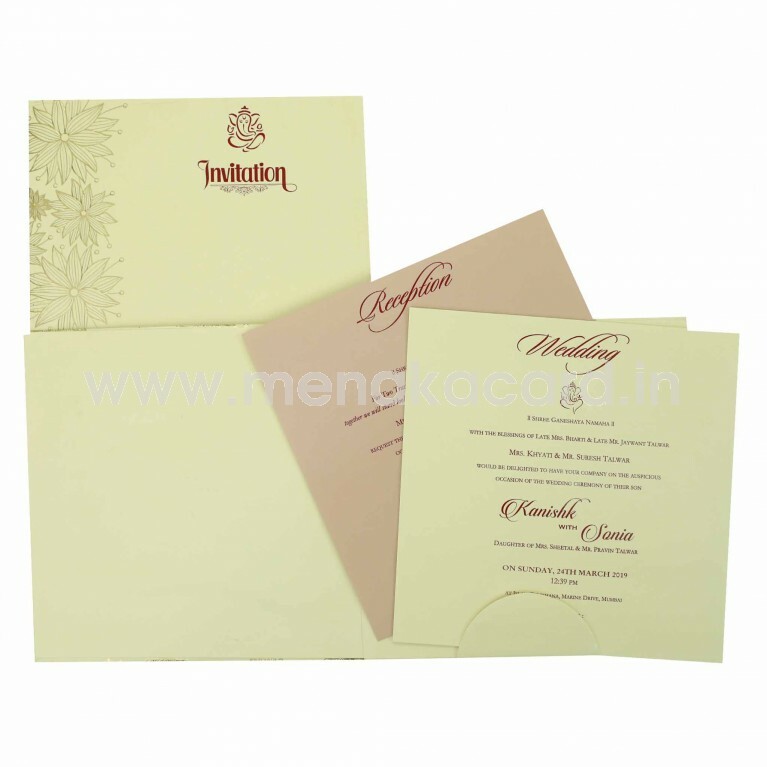 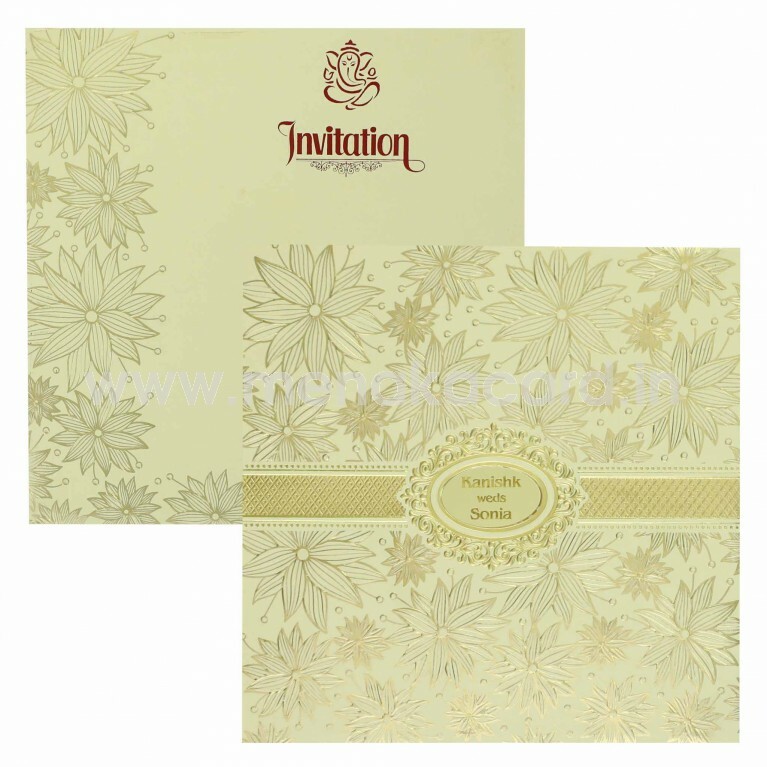 This resplendent padded card is made from a matt finish pale cream-coloured artboard. 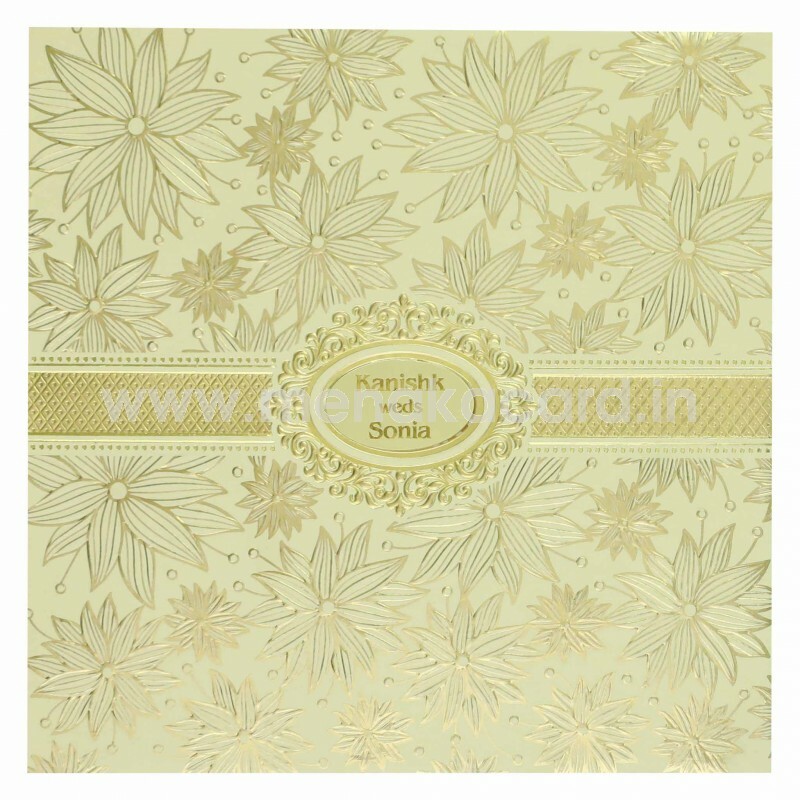 The front of this beautiful card has a chic flower motif embossed into it in gold ink, carrying an elegant gold foil strip and frame that housing an ornate filigree banner with a royal mirror sticker for the names of the couple. This book folding card carries two cream inserts in the holder with the text in brown ink and decorated with traditional paisley designs and an envelope carrying the strip in a rich gold foil. This can be used for Hindu, Christian and Muslim weddings. 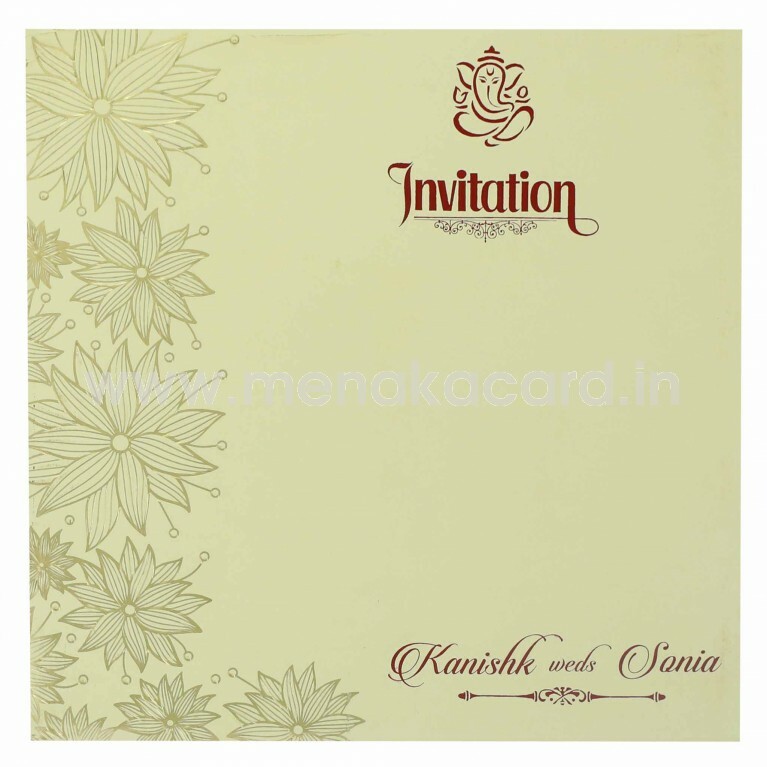 This can be used for Hindu, Christian and Muslim weddings.